Fall could be a season of nature or a season in life. This print is one of the first linocuts that I created in Ukraine. Since then I’ve been hooked on printmaking. 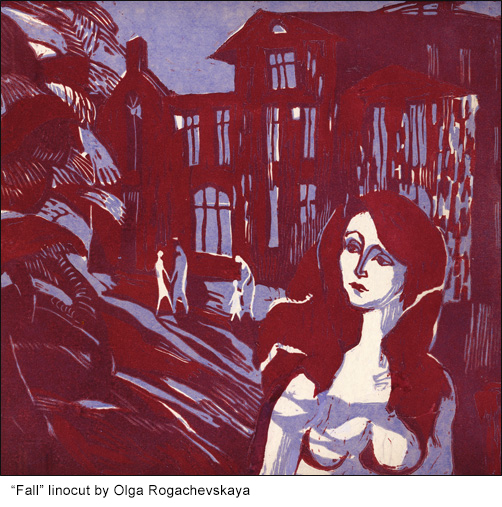 This entry was posted in Prints and tagged linocut, print, printmaking on October 10, 2014 by Olga Rogachevskaya-Chu. Spring linocut from my 4 Seasons Series. This series captures four seasons of nature and life. If you are interested to learn art or printmaking with me come visit my Art Classes in Edgewater NJ. 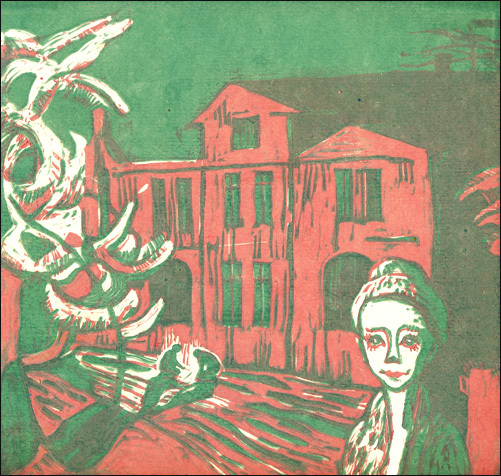 This entry was posted in Prints and tagged linocut, print, printmaking on January 28, 2014 by Olga Rogachevskaya-Chu.